Over the weekend I spoke to a group of about 50 twenty-something’s and their leaders. In the opening talk on Friday night, I went on an unplanned rabbit trail about being obsessed with changing the world. It was a Biblical message mixed with motivational speech and a little bit desperate pleading for others to join me. It’s true: I’m obsessed with changing the world. It’s also true that I can’t do it without you. 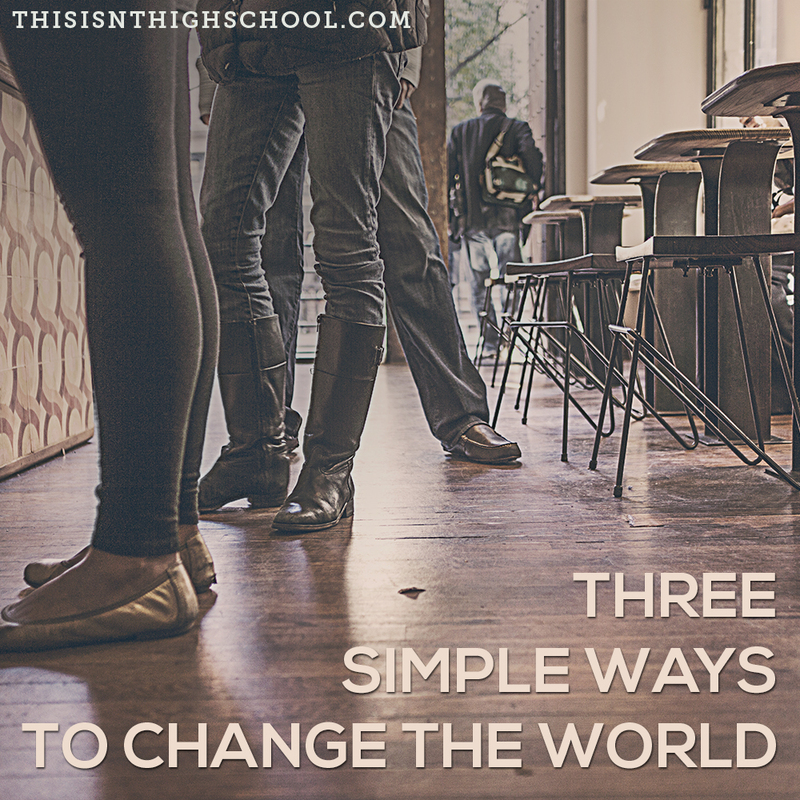 With that said, here are three simple ways for you to begin changing the world. 1) Find out what you’re great at. 2) Once you find out what you’re great at, go do it. Seriously. Go do it. No more reasons why you can’t. No more excuses waiting for others to do it. You’re great at it. You were made to do it. Now go do it. 3) Help people along the way. You’ve found out what you’re great at and you’re doing it. You’re ahead of 90% of the world. Help others find out what they’re great at. Help them learn how to do it. Give back so others can help us learn how to change the world. These three things are simple. For us to change the world, we all must do what we were made to do and help others do the same. If we do that, there’s no chance things stay the way they are today. Let’s break away from boring. Let’s stop waiting for others to do what only we can. Let’s be people who live for more than ourselves.